In The Hero of a Thousand Faces, Joseph Campbell demonstrated that many of the most popular stories, even over thousands of years and across cultures, shared a specific formula. That formula is now commonly referred to as mythic structure, or the hero’s journey. Even if you’ve never heard of it before, you’ve consumed this “monomyth” in works like Star Wars and Harry Potter. Along with a specific plot structure, the hero’s journey has a repeating cast of characters, known as character archetypes. An archetype doesn’t specify a character’s age, race, or gender. In fact, it’s best to avoid stereotyping by steering clear of the demographics people associate with them. What archetypes really do is tell us the role a character plays in the story. Thinking about your characters in terms of their archetype will allow you to see whether they’re pulling their weight, or if they’re useless extras. The hero is the audience’s personal tour guide on the adventure that is the story. It’s critical that the audience can relate to them, because they experience the story through their eyes. During the journey, the hero will leave the world they are familiar with and enter a new one. This new world will be so different that whatever skills the hero used previously will no longer be sufficient. Together, the hero and the audience will master the rules of the new world, and save the day. 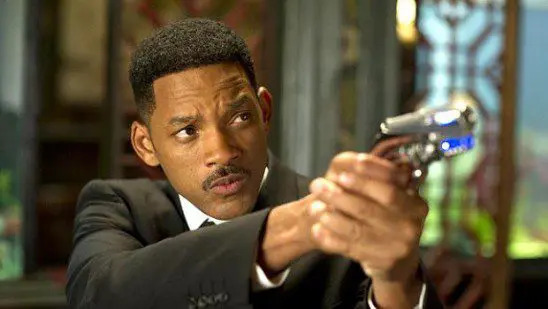 J is the heroic tour guide in Men in Black. 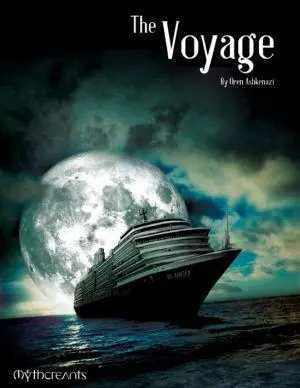 A cop at the top of his beat, he is suddenly taken behind the masquerade of everyday life. Waiting for him is a world where aliens are hiding among everyday people, and a galaxy can be as small as a marble. While he’s still a cop in essence, his adversaries – and the tools he must wield against them – are nothing like he’s previously known. Other heroes: any protagonist fits the hero role. Some heroes from stories that stick closely to the hero’s journey are Dorothy from The Wizard of Oz, Alice from Alice in Wonderland, and Luke Skywalker from Star Wars. The hero has to learn how to survive in the new world incredibly fast, so the mentor appears to give them a fighting chance. This mentor will describe how the new world operates, and instruct the hero in using any innate abilities they possess. The mentor will also gift the hero with equipment, because a level one hero never has any decent weapons or armor. 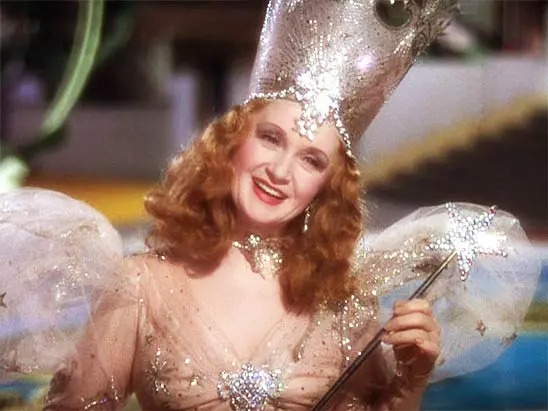 Glinda the Good Witch from The Wizard of Oz appears soon after Dorothy enters Oz. She describes where Dorothy is, and explains that she’s just killed the Wicked Witch of the East. Then, before the Wicked Witch of the West can claim the ruby slippers, Glinda gifts them to the hero instead. Often, the mentor will perform another important task – getting the plot moving. Heros can be reluctant to leave the world they know for one they don’t. Glinda tells Dorothy to seek the Wizard, and shows her the yellow brick road. Once the hero is on the right path and has what they need to survive, the mentor disappears. Heroes must fight without their help. Other mentors: Morpheus from the Matrix, Dumbledore from Harry Potter, and Tia Dalma from Pirates of the Caribbean 2 and 3. The hero will have some great challenges ahead; too great for one person to face them alone. They’ll need someone to distract the guards, hack into the mainframe, or carry their gear. Plus, the journey could get a little dull without another character to interact with. 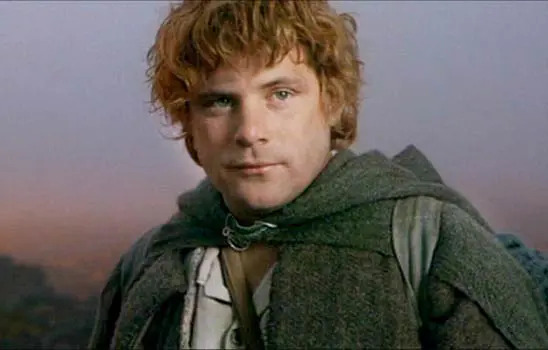 Like many allies, Samwise looks up to Frodo in The Lord of the Rings. He starts the story as a gardener, joining the group almost by accident. He feels it’s his job to keep Frodo safe. But not all allies start that way. They can be more like Han Solo, disagreeable at first, then friendly once the hero earns their respect. Either way, the loyalty and admiration allies have for the hero tells the audience that they are worthy of the trials ahead. Other allies: Robin from Batman, Ron and Hermione from Harry Potter, and the Tin Man from The Wizard of Oz. The herald appears near the beginning to announce the need for change in the hero’s life. They are the catalyst that sets the whole adventure in motion. While they often bring news of a threat in a distant land, they can also simply show a dissatisfied hero a tempting glimpse of a new life. Occasionally they single the hero out, picking them for a journey they wouldn’t otherwise take. 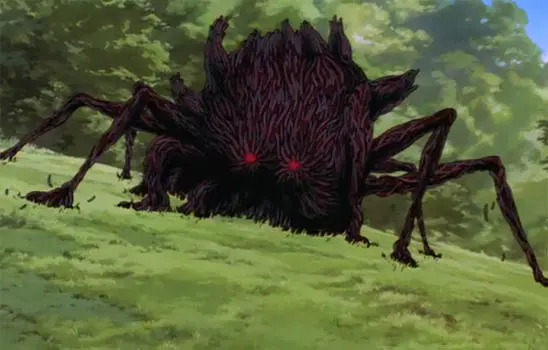 The great boar demon that appears at the beginning of Princess Mononoke is a herald bearing the scars of a faraway war. Ashitaka defeats him, but not without receiving a mark that sends him into banishment. This gets the hero moving and foreshadows the challenges he will face. Heralds that do not fill another role will appear only briefly. Often, the herald isn’t a character at all, but a letter or invitation. Other heralds: Effie from the Hunger Games, R2D2 from Star Wars, and the invitation to the ball in Cinderella. The trickster adds fun and humor to the story. When times are gloomy or emotionally tense, the trickster gives the audience a welcome break. Often, the trickster has another job: challenging the status quo. A good trickster offers an outside perspective and opens up important questions. They’re also great for lampshading the story or the actions of the other characters. 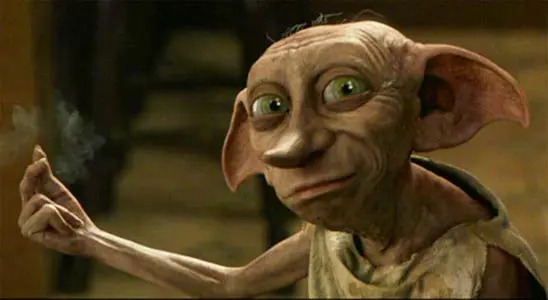 Dobby from Harry Potter is an ideal trickster. He means well, but his efforts to help Harry Potter do more harm than good. And every time he appears in person, his behavior is ridiculous. 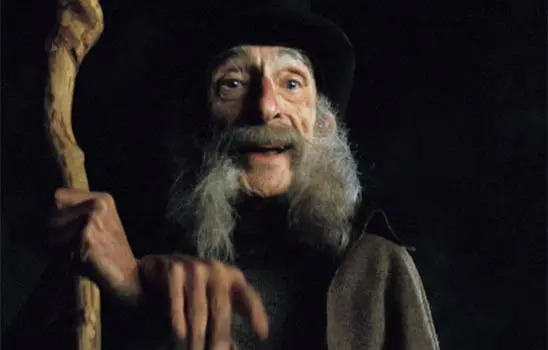 However, underlying the humorous exterior is a serious issue – Dobby is a slave, and he wants to be free of his masters. Other tricksters: Luna Lovegood (also from Harry Potter), Crewman #6 from Galaxy Quest, and Merry and Pippin from LoTR. The shapeshifter blurs the line between ally and enemy. Often they begin as an ally, then betray the hero at a critical moment. Other times, their loyalty is in question as they waver back and forth. Regardless, they provide a tantalizing combination of appeal and possible danger. Shapeshifters benefit stories by creating interesting relationships among the characters, and by adding tension to scenes filled with allies. Dr. Elsa Schneider, from Indiana Jones and the Last Crusade, is a very effective shapeshifter. Even after she reveals she is working for the enemy, she and the hero still have feelings for each other. She allows him to steal an item back without getting caught, and he allows her to discover the McGuffin with him. But the distrust between them remains. Other shapeshifters: Gollum from LoTR, Catwoman from Batman, and Gilderoy Lockhart from Harry Potter. The guardian, or threshold guardian, tests the hero before they face great challenges. They can appear at any stage of the story, but they always block an entrance or border of some kind. Their message to the hero is clear: “go home and forget your quest.” They also have a message for the audience: “this way lies danger.” Then the hero must prove their worth by answering a riddle, sneaking past, or defeating the guardian in combat. The Wall Guard in Stardust is as classic as guardians get. He stands alone at a broken section of stone wall between real world England and the fairy realm of Stormhold. The guard is friendly when Tristan tries to pass into the fairy realm to start his adventure, but he carries a big stick and he’s not afraid to use it. Other guardians: The Doorknob from Alice in Wonderland, the Black Knight from Monty Python and the Holy Grail, Heimdall from Thor. Shadows are villains in the story. They exist to create threat and conflict, and to give the hero something to struggle against. 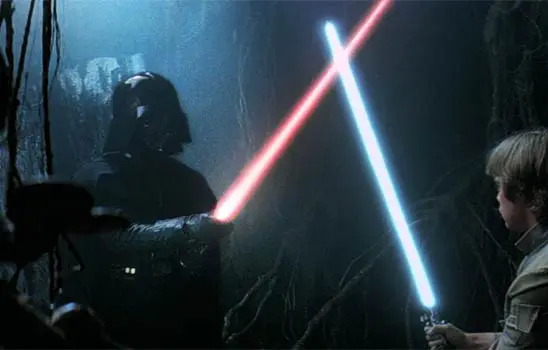 Like many of the other archetypes, shadows do not have to be characters specifically – the dark side of the force is just as much a shadow for Luke as Darth Vader is. The shadow is especially effective if it mirrors the hero in some way. It shows the audience the twisted person the hero could become if they head down the wrong path, and highlights the hero’s internal struggle. This, in turn, makes the hero’s success more meaningful. The reveal that Darth Vader is Luke’s father, right after Luke had ignored Yoda’s advice, makes the dark side feel more threatening. Other shadows: Voldemort from Harry Potter, Sauron from LoTR, and Maleficent from Sleeping Beauty. It’s unusual for stories to have exactly one character per archetype. Because archetypes are simply roles a character can take, Obi Won and Yoda can both be mentors, J can be a hero and a trickster, and Effie Trinket can be first a herald, then later an ally. While you shouldn’t rush to add archetypes that are missing, any character that fits more than one is probably important to the story. If you have a character that doesn’t fit any, make sure they are strengthening, and not detracting from, your plot. 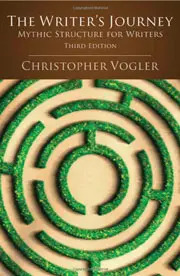 These character archetypes are described in depth in The Writers Journey: Mythic Structure for Writers by Christopher Vogler. 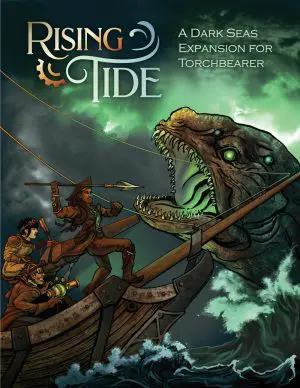 This book is the gold standard for storytellers who want to learn more about the hero’s journey. It’s well written, neatly organized, and if that isn’t enough, it contains beautiful illustrations. I highly recommend it. Thank you, very informative. Gives a better understanding on how to create a story and “important” NPCs. I have a question. In Disney’s/ABC’s Once Upon a Time would you consider Rumplestiltskin/The Dark One to be a Trickster or a Shapeshifter? He’s not a ‘true’ villain though the writer’s class him as a villain. I haven’t watched enough Once Upon a Time to tell you for sure based on my personal knowledge of Rumplestiltskin, but if he is often working together with the good guys but is liable to betray them or do other bad things, he’s probably a shapeshifter. Tricksters almost always provide comic relief. In the few episodes I watched, it did not look like Rumplestiltskin was a comical character. However, because the archetypes are roles, characters can have more than one or change what they are. It sounds like sometimes when he is doing especially bad things, he might be a Shadow temporarily. Dianne its a very good question but its really what you think he is.he is apart of many difrent grous and some arnt on this site . The most common thing ppl think he is is a villan but it really isnt like that at all but its up to you. hope i help . Would I be right in saying that Magneto in X-Men would be considered a shapeshifter? Based on my very crude knowledge of X-Men, Magneto is mostly a shadow. Like a good shadow, he is a dark reflection of Professor X. However, he also takes on the role of shapeshifter during their temporary alliances. No no, the shapeshifter is Mystique. She can turn into other people, too, so, in literal sense, she is one. I think Chris was talking figuratively. The description of the shadow is a little misleading. He is not the antagonist, and not evil. He mirrors the side of the hero that he/she is not aware of, but must acknowledge in order to continue and be sucessful on his/her journey. The Star Wars example with the cave sets it: Yes, Darth Vader is evil (he is antagonist and shadow all in one), but he is also Lukes father. Therefore, he wasn´t always evil. Luke knows this. A great example for a shadow in film are the two girls in American Beauty. Angela is Janes Shadow. She represents everything that Jane must leave behind in order to get on with her life, find her destiny etc. But Angela is not evil. She is a rather normal teenager. She is Janes friend. I’m not super familiar with American Beauty, so I could be totally wrong on this, but it sounds like the character dynamic you are describing is the use of a foil. A foil is character who starkly contrasts with attributes of a character (nearly always the main character) in order to highlight certain attributes of a character. The Shadow is most definitely the opposing force in a literary work. It is true that the shadow – when it is a character – is most effective if it is also a foil of the protagonist as this helps to illustrate how the hero’s conflict is as much internal as external, but existing expressly to mirror the hero in some way is not a defining feature of the shadow. It would be interesting to think up ways to realign quest stories to make different figures the protagonist. Like, say, in the Matrix, they really had me going that Neo wasn’t the one – I thought it would turn out to be Morpheus. Which would mean we were seeing Morpheus’s Hero journey through the eyes of one of his last Guardians (the obstacle preventing Morpheus seeing the Hero he sought was himself). I have only a secondary knowledge of Science Fiction and mythical creatures, gleaned from sitting with my husband and son when they watch shows in the same room with me. I found your page very informative, interesting, and helpful so that I may understand what I am watching Sci-Fi shows or shows about mythology with my family. Thank you. I am actually a sculptor building a portfolio for character modeling. I was told by an industry recruiter to include different archetypes. For the longest time I only vaguely knew what he meant until I read your post. Currently reading the recommended book – excellent by the way! – which I see is the industry bible on this subject. I now have a much clearer picture on what direction to take my work! I actually feel like Snape is a better example of the shapeshifter than Lockhart. Good point. He’s always portrayed as evil … up until the end, when you see he was on the other side the whole time. Zuko from Avatar the Last Airbender seems to be a perfect shapeshifter to me. Yes. 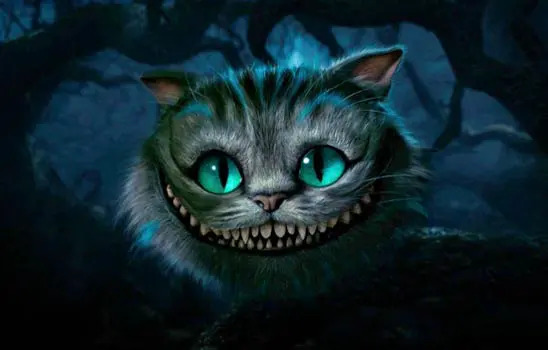 The most common form of the shapeshifter is one who begins as Ally and betrays the hero, but a character taking the inverse course of action is also an example of a shapeshifter. What defines the shapeshifter is that there is at least a key moment where the audience is left to wonder for themselves if the character is friend or foe. Zuko is also a wonderfully written character who undergoes a Heroes quest of his own with Iroh serving as his mentor and Azula taking on the role of shadow. He can be viewed as many roles in series depending on which part of the series you are thinking about. Sir Didimus (sp?) from Labyrinth would be a penultimate Guardian. Welcome to the Mythcreants comment section, Jemma Caffyn! what about a villian that goes from bad to good? Unless somehow showing up as the shadow, redeemed villains are not part of Joseph Campbell’s monomyth. The overwhelming majority of myths and stories written before the romantic period had clear villains and heroes. Nietschze explained this by saying that all myths are morality tales; if people believe that there is a definite good and evil then it will be easier for them to accept anything their leaders do so long as their is a greater enemy. It is no coincidence that so many mythical heroes are of noble birth. It has even be argued that morally ambiguous characters are a feature of democracy (https://www.theatlantic.com/entertainment/archive/2017/03/whats-so-american-about-john-miltons-lucifer/519624/). Can the Drayo State feasibly be attained by a character who doesn’t just confront his or her shadow but cannibalises it and therefore digests the darker side of his or her own nature? Asking for a friend. Fantastically useful site & not just for sf & fantasy writers. I’ve learned such a lot. Thanks! Thanks for helping me do my homework!